The Police Service Commission (PSC) on Monday said that the rules were strictly followed in the recent promotion of top officers in the force. This was contained in a statement by Head, Press and Public Relations of the commission, Mr Ikechukwu Ani, on Monday. 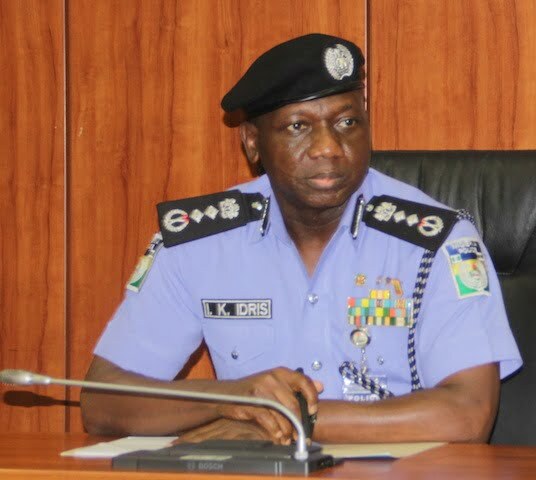 The promotion of three Assistant Inspectors-General of Police (AIG) to Deputy Inspector-General of Police (DIG) on Wednesday, had generated some controversy, especially purported rejected of the exercise by the Inspector-General of Police, Idris Abubakar. “This procedure was observed in the promotion of three Assistant Inspectors-General of Police to Deputy Inspector-General,” Ani said. He said that the commission was committed to sanitising the force and returning it to the part of honour. The spokesman said that since assumption of office, the new management of the commission had insisted on working strictly with laid down rules. He explained that before the recent promotions, the force had four DIGs representing four geo-political zones. They are: Maigari Dikko from Katsina, representing North-West; Joshak Habila from Plateau, representing North-Central; Emmanuel Inyang from Akwa Ibom, representing South-South and Agboola Oshodi-Glover from Lagos, representing South-West. He said that the commission considered the recommendations of the I-G of three AIGs for promotion to DIGs. “They were Mohammed Usman from Bauchi, representing North-East; Peace Ibekwe-Abdallah from Anambra, representing South-East and Abdulsalami Iyaji from Kogi, representing the North-Central,” he said. He said that at the time of the recommendation, Mohammed was the most senior AIG in the Force, but was curiously not recommended. “The commission in its wisdom and satisfying the necessary and relevant requirements approved the recommendations of Sani Usman to take the place of the North-East and Ibekwe-Abdallah for the South-East. “It rejected the recommendation of Iyaji and in his place promoted the most senior AIG, Mohammed from the North-West. “It is instructive to note that all the geo-political zones are fully represented in the DIG cadre in the Force and the remaining vacant slot was ceded to the most senior AIG. “It is further instructive to note that the I-G is also from Niger state, and invariably also representing North-Central. No Geo-political Zone is therefore left out in the promotion,” he said. Ani said that the PSC was under no obligation to wholly approve all recommendations from the I-G for appointments, promotions or discipline. According to him, justice and equity will always be done to the entirety of officers and men of the Nigeria Police. “All promotions in the force from assumption of office of this management are based strictly on merit, seniority, availability of vacancies, even spread and attendance/successful completion of relevant courses,” he said.